Based on 423 customer ratings. Whether you want to eat at home or dine out, you can enjoy a meal from Giordano’s. Stop by our dining room and ask for a drink from our full bar, or call us to place an order for pickup or delivery. 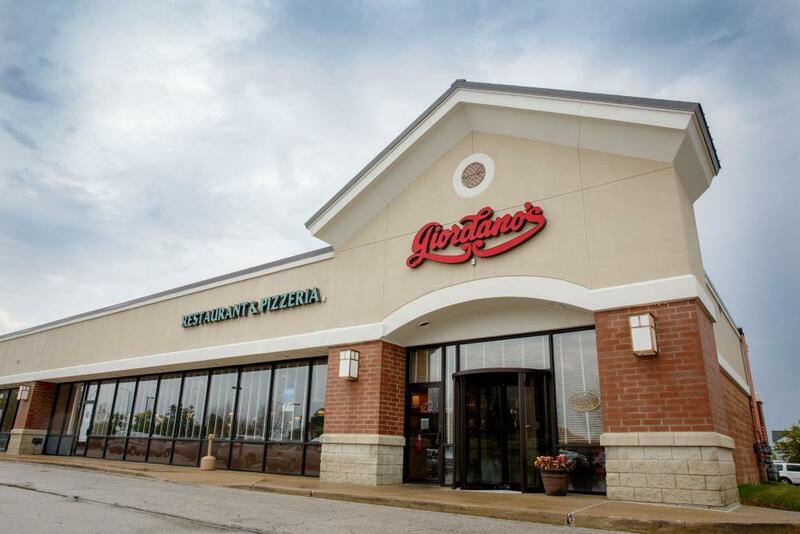 We love that our Giordano's location in St. Charles, IL, is a part of such a welcoming community. There is so much to experience in this area, from learning about the history of the town to experiencing its local attractions. The area that became St. Charles was originally the home of the Pottawatomie Native American nation. In 1832, after the Black Hawk War was over, American settlers came to this area. Evan Shelby and William Franklin staked claims on land in 1833 and returned the next year with their families. Throughout that year, more than 12 other families would join them. The original name for the community was Charleston, but it had already been taken by a town farther south. St. Charles was suggested as an alternative, and the city was incorporated in February 1839. Today, St. Charles is part of a tri-city area, along with Batavia and Geneva, and is home to more than 32,000 residents. St. Charles History Museum: The building that now houses the museum was a gas station from 1928 to 1990. The museum has both permanent and changing exhibits with a historical archive that holds more than 10,000 photos and 15,000 artifacts. After your visit, you can impress your relatives and friends who come to visit from out of town with your hometown knowledge. Pottawatomie Park: This park was named after the Native American nation that once occupied the area that later became St. Charles. The 92-acre park has a picnic area, paved trails and a bandstand. You can play a number of sports, too, like baseball, softball, volleyball, golf and tennis. You can also find a swimming pool and mini golf close by. Hickory Knolls Discovery Center: Bring the whole family on a relaxing nature walk to observe local wildlife and let your kids learn through hands-on exhibits and activities at the Discovery Center. They'll be having so much fun they won't realize just how much they learned in one afternoon! St. Charles offers a number of tasty restaurants that won't disappoint. Of course, if what you want is a delicious, cheesy pizza, you can't go wrong with Giordano's. Visit us for the best deep dish pizza in St. Charles, IL, today! What’s the most appetizing aroma in the world? The smell of the best deep dish pizza in St. Charles, of course! Welcome to Giordano’s, where we’ve earned a reputation as the best pizza place in Chicago since 1974. You’ll love how every trip to Giordano’s is an experience to be treasured. You can taste our proud heritage in every bite, and that’s what makes Giordano’s the best pizza place in town. Every Pie, Slow-baked to Perfection Did you know it takes 35 minutes to slow-bake every Giordano’s stuffed crust pie? We use old-world techniques because that yields the flakiest, most tender crust. You’ll love how our flavorful toppings, rich tomatoes and fluffy mozzarella satisfy with every bite. That’s why Giordano’s is the best pizza delivery and restaurant in St. Charles! Giordano’s also has a full menu that features delicious dishes to complement our pizza pies perfectly. Order a hearty pasta, mouthwatering specialty sandwich or savory appetizer — or go healthy and get a fresh and flavorful salad. We have mouthwatering gluten-free options, too!